Being a landlord is a difficult responsibility to handle. You always need to pay attention to when the dweller will pay the rent on time or not pay at all., If you are lucky enough you might get a tenant who pays rent on time, takes care of your property and gives you notice prior to leaving the property. Evictions are not easy, they can be stressful and costly. Therefore, many landlords are evading this awful situation created by eviction and opting for hiring the professional eviction services to get the work done right. When you hire a professional eviction services it makes your life easy by looking after all the detailed paperwork and other formalities can you can just sit and have a cup of coffee. Hiring a professional can keep up with the safety issues in case if the dweller threatens in any terms. Hiring a professional is just the right thing to do. As they have all experience and know how to act in any situation. Their experience will surely help you get the best deals. 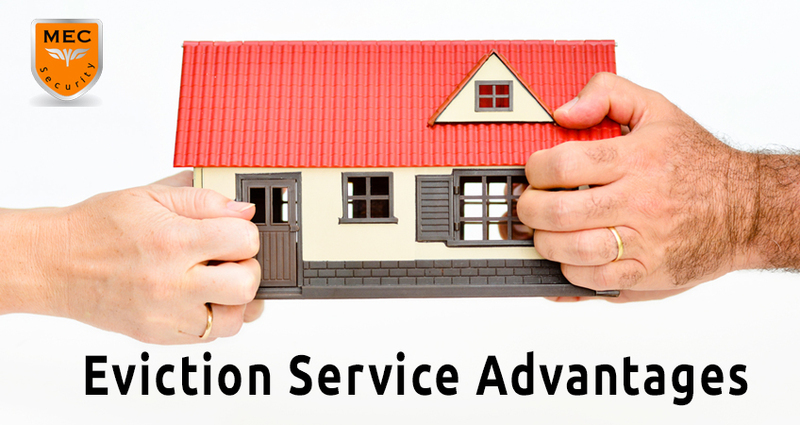 It is a really an excellent idea to hire an eviction services, this can help you if you simultaneously manage multiple properties. For more on different types of eviction services and security guard services, you can get in touch with us today. MEC is one of the leading security agencies in London and offers all the services outlined above. We are ranked among the top security companies in the UK and have covered the security needs of VIPs, public events, businesses and individuals across the UK.